This node creates a mask by comparing two input terrains. 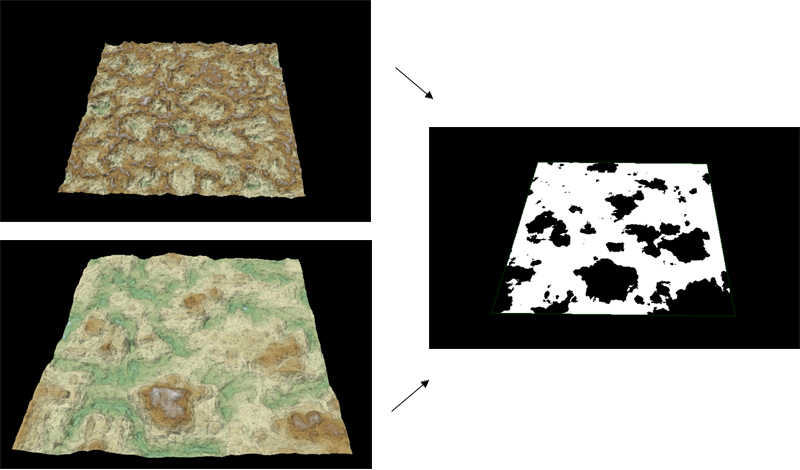 The white areas of the output correspond to all the locations where the elevation of the first input terrain is higher that the elevation of the second input terrain. To add a Mask from higher terrain node, right click in the Graph Editor and select Create Node > Mask Generation > Mask from higher terrain. Link the Mask from higher terrain node to two input nodes.